Helene* had a challenge that no mother would want. She, with her husband, was a refugee in a foreign land with a foreign language, trying despite all odds to raise her children as best she could. If this weren’t enough of a challenge, Helene was in jail, locked up in a 10-person cell with others she didn’t know. The only time she could leave her cell was for a 30-minute exercise time each day. But her task was more daunting still. Her children were locked up with her. Helene’s jail was an immigration detention facility, and her crime was not having enough money to begin refugee applicant proceedings. She spent 23 days in that cell with her two sons. Her oldest, Emerson, was three years and eight months old, and her youngest, Aaron, was only 13 months old. She watched their mental health and physical health slowly deteriorate while her pleadings for help fell on deaf ears. In June, American news media were shocked by the revelation that migrant children, who were only guilty of not possessing legal migrant status, were being held in large-scale detention facilities. This was something new—a part of President Donald Trump’s ‘tough on immigration’ stance. Children make up a very small percentage of the total picture of unregistered migrants in South Korea. However, as the nation’s foreign population reaches 2 million and beyond, that small percentage becomes a large number in real terms. The Ministry of Justice (MOJ) doesn’t keep statistics on the exact number of unregistered child migrants in the country. Most unregistered child migrants in South Korea fall into one of two broad categories: teenagers who come alone, and infants or toddlers brought by their parents or born to migrants already living in the country. In both cases, the majority of children (or their parents) come from other parts of Asia seeking work in the industrial sector. These children often end up in detention facilities when immigration authorities carry out routine crackdowns targeting workplaces in industrial districts or transportation routes workers use to get to these districts. Authorities, by policy, detain any unregistered migrant who is 14 or older. Younger children are technically exempt from detention orders, but parents are often caught in crackdowns while with their children. The parents can’t leave their children on the street to fend for themselves, and so, left with no other options, they choose to bring their children with them into the detention facilities. Helene’s case was different. She and her husband brought their sons to South Korea with them when they fled religious persecution in their home country of Liberia. The South Korean government rejected their refugee applications, and the family only had enough money to begin a legal challenge for one person. Emerson and Aaron, along with Helene, became unregistered migrants. How they were detained would be comical if their case were not so tragic. After a trip to a hospital, the family was trying to board a subway to return home. Their stroller could not fit through the turnstiles, and after a brief altercation an upset station manager called the police. The police asked to see the family’s papers, but only Helene’s husband had legal status. The police were obligated to arrest Helene due to her unregistered status and turn her over to immigration authorities. Because her children were very young – the youngest was still breastfeeding – she had no viable option but to bring her children with her. Helene and her sons were sent to an immigration detention facility in Hwaseong, some 60 kilometers southwest of Seoul. Inside and out, the facility is indistinguishable from a prison. Detainees wear blue jumpsuits with the ironic Korean phrase “protected foreigner” printed in large white letters on the back. They live in 10-person cells with cement walls and steel bars at the front. Each cell has a small common area up front with tables, a sleeping area in the middle, and a bathroom at the back. For detainees, these cells become the entirety of their existence until they are released. Food is delivered through a gap in the bars, and the only opportunity to leave the cell is for a brief 30-minute exercise period each day. These facilities were never intended to house children, and authorities make little to no effort to accommodate them. Young children have to live in a cell with a parent and as many as eight other adults, all unknown to the child. The detention center doesn’t provide access to pediatricians, child appropriate play and rest time, or even food suitable for young children. Government policy states that education is provided only for children detained for more than 30 days. Children have no other children to interact with, and no space to play or explore. During daytime, when the sleeping mats are rolled up and stored, the sleeping area becomes a large open space where children could play. According to Helene, whenever her sons entered that area guards would shout at them to come back to the common area at the front of the cell. Emerson’s fear of the guards’ reprimand grew to the point that he refused to use the toilets at the back of the cell because that would mean crossing the sleeping area, instead choosing to soil himself. Even after the family was eventually released, Emerson’s psychological trauma and his refusal to use bathrooms remained. The stress and anxiety of being locked in a prison cell naturally takes a severe toll on children’s wellbeing. Like the adults they’re detained with, they don’t know what will happen to them or when they will be released. Unlike the adults, they don’t understand why they are in a prison cell to begin with. Without any way to alleviate the situation, the stress and anxiety they feel turn into mental disorders. These conditions can include depression, post-traumatic stress disorder, and even increased rates of suicide and self-harm. Kim Jong Chul has seen many examples of these symptoms firsthand. Kim is a lawyer with APIL, a public interest law firm, and he’s worked to secure the release of many migrant children held in detention. In one such case, May, a 5-year-old migrant from China, spent 20 days in a detention facility with her mother. Over those 20 days, May’s extreme anxiety produced insomnia, a high fever, swollen lips and more. Despite this, her guards never brought a doctor to examine her. For most migrants in immigration custody, children included, their release comes only when they are deported. In 2016, authorities held 29,926 migrants in detention, and 96 percent of them were deported. The whole deportation process, from arrest to boarding a plane, typically takes ten days. But for children, ten days in detention are enough to develop severe stress and anxiety. Special cases, including refugee applications or a migrant laborer with unpaid wages, can take much longer to process. 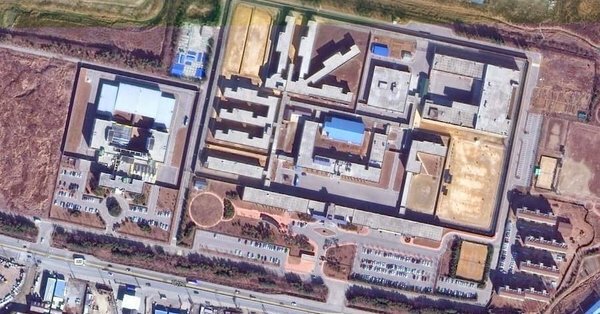 South Korea’s immigration law doesn’t set an upper limit on migrant detention, and there are cases of migrants held for more than a year. The law also doesn’t require regular judicial review or in-person checks from a case worker at any point in the process. According to Kim from APIL, the longest child detention in recent years was 141 days. Existing children’s welfare services would benefit migrant children, but the MOJ opposes any such idea. In the view of the MOJ and the Ministry of Health and Welfare, welfare facilities should be reserved only for citizens and foreigners with legal status. Children between the ages of 14 and 18 are yet another matter. The MOJ’s stance is that most of these children are physically similar to adults, highly likely to commit crimes and in general a danger to society, and they need to be detained. Kim argues that it’s hard to interpret the MOJ’s stance that migrant teenagers are all potential criminals as anything other than institutional racism. South Korean citizens who are under 18 are considered minors and treated differently in the eyes of the law. International treaties ban detaining children, including teenagers, due to migration status, and the South Korean government has signed and ratified each of the UN treaties that relate to children’s rights. It means that under the country’s constitution, the treaties have the same power as domestic law. And yet abuses persist. Lawmaker Keum Tae-seob from the ruling Minjoo Party—often called one of the most progressive members of the National Assembly— is fighting this reality. He has proposed a revision to the current immigration law that would ban detention of migrant children, but it has met opposition from the MOJ. Ironically, the ministry argues that because South Korea has signed the relevant international treaties, there is no need to pass a separate domestic law that would ban such detention. This is despite the fact that immigration authorities, who belong to the MOJ, have detained over 200 children over the past 3 years, including many under the age of 14. To rally support for a ban on detaining migrant children, APIL and World Vision Korea launched an awareness campaign in 2016, complete with a slick website, emotional videos and a petition. As of this writing, the petition has just under 9,000 signatures, and APIL is hoping to reach 10,000. Back in June of last year, another petition received significant media attention. A group of Yemeni refugee applicants—fewer than 600—arrived on the island of Jeju, and in response a citizen’s petition against accepting refugees on the office of the president’s website garnered over 714,000 signatures. A collection of civic groups even organized an anti-refugee rally in Seoul that same month. For now, Keum’s bill is still sitting in committee, pending the next round of reviews. Helene’s family has been in the UK since her husband’s refugee status lawsuit failed. *Helene is a pseudonym to protect the identity of her and her family.